Sometime criticized for what some see as slow reactions to pressing air cargo demands and needs, IATA came up with an interesting paper at this year’s World Cargo Symposium (WCS) in Singapore. 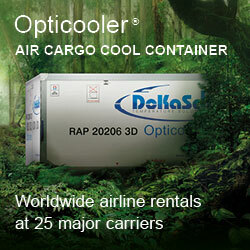 It lists what the organization sees as the three main Air Cargo Priorities for the coming years. The need for better prioritization came from IATA’s Director General and CEO, Alexandre de Juniac, during his opening speech at this year’s conference. He pointed out that the demand for transport by air rose by 3.5% last year but was way below the almost 10% increase in 2017. Worries about decreasing demand due to present and future trade tariffs and a waning consumer confidence, as well as political upheavals around the globe, may well see a further decline in demand. This is noticeable already this year as January figures saw an almost 2% contraction in volumes and many are expecting this trend to accelerate even further by the middle of the year. Whether this negative picture becomes reality, remains to be seen. However according to Mr de Juniac, it’s time to get better prepared and set priorities. Industry processes are in need of modernization according to IATA. Despite the present slowdown in world trade IATA feels that further modernization and updating of many processes is essential in order to meet the future demand which in time will double that of today. Here, the emphasis is on the surging e-commerce market and the means to have a modern and functioning supply chain. This, they state also applies to the pharmaceutical and perishable markets which are also growing at an enormous pace, but still lack watertight door-to-door processes in order to be fully functional in the coming years. - a much faster implementation of the e-Airwaybill (e-AWB), which is presently taking too long. - a common data language must be introduced in order to speed up handling issues. - Quality improvements can only be achieved by valid performance date systems. - So called ‘smart data’ sharing should be a priority among stakeholders and they should shy away from unnecessary data protection. We all see ourselves as global players but global standards in the air cargo industry are still far away from what they should be. 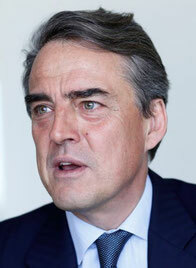 Among others, IATA is pushing on to two key issues. They are global standards for safe transport of lithium batteries and pushing governments to make trade simpler, cheaper and easier. Both very important subjects, but ones which are moving far too slowly. The lithium issue is a ‘burning one’ especially with regards to being able to control and disable so called rogue shippers. In this respect the world seems to be moving backwards. Protectionism is rampant in many parts of the world and is especially noticeable within the USA. 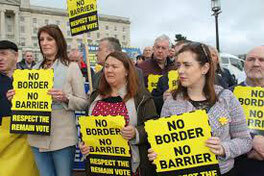 The BREXIT debate, or better said, fiasco, brings much uncertainty with it as regards open borders within the UK & Ireland as well as in other parts of Europe. Globalization is still for some, something of a dirty word. Fact is that we are on this road already for many years and there is no going back. The question arises as how best to coordinate and steer globalization in order not to end up in chaos. All three are important messages, but the question is whether they will in part or as a whole fall on deaf ears and that the economy will fall back into a protectionism mode. 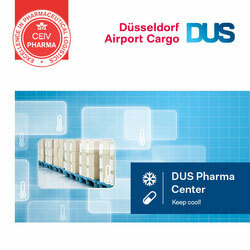 Then, what is the future for the air cargo industry?